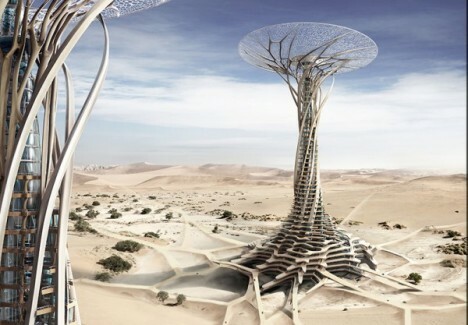 Taking inspiration from plants as well as skeletal systems, the 3D-printed Sand Babel tower system is designed to optimize cross-ventilation, encourage water condensation on the tops of the structures, and hide infrastructure like a multi-functional tube network underground. 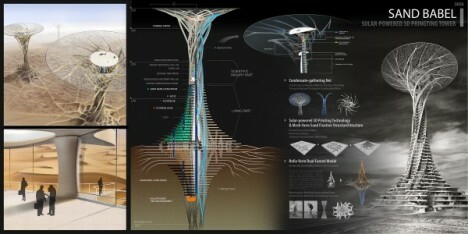 Connected beneath the sand, the towers offer scientific research facilities and tourist attractions in desert locations, with their ‘root systems’ helping to hold the sand dunes in place. 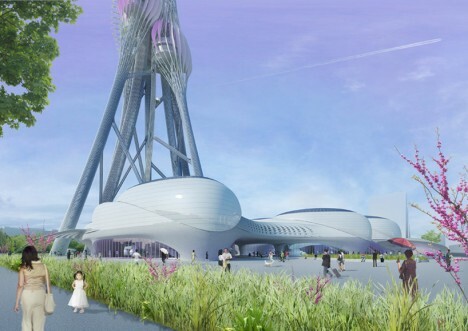 Looking like part of a nervous system or the buds of a plant, this odd concept structure was envisioned as an observation tower and Taichung City Museum for Taiwan. 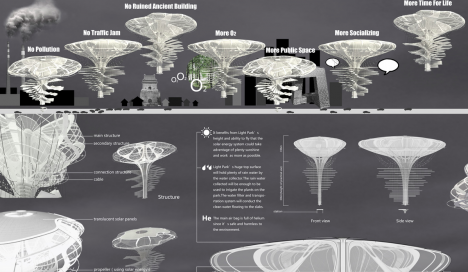 Genetic algorithms found in natural growth processes were applied to digital models to create a system of tubes that separate and regroup to create an amorphous, flowing silhouette. 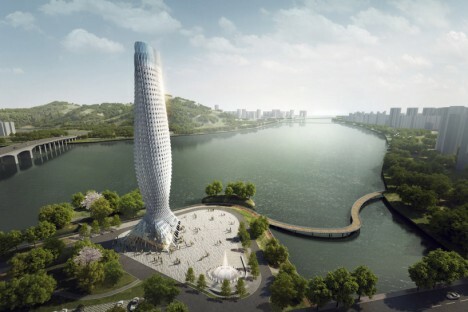 Standing at the junction of two rivers in Doumen, China, this 328-foot-tall observation tower features a scaled facade mimicking the movement of water as schools of fish swim and jump into the air. 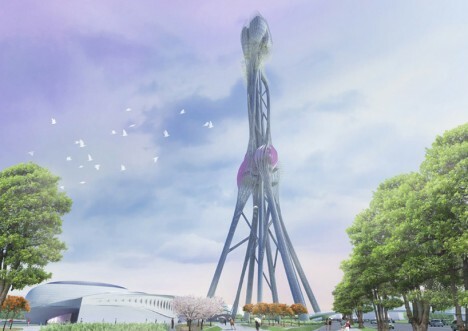 Standing as a landmark for the area and a symbol of environmentalism, the tower contains a ground podium, technological programs and an observation facility. At night, it’s illuminated with LED lights from the inside. 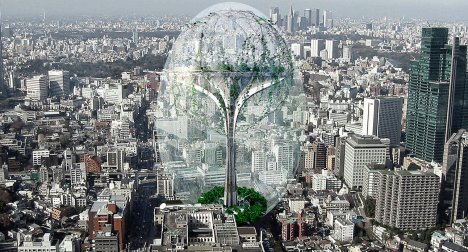 “If the city is sick, what should we do?” ask the designers of the Climatology Tower. 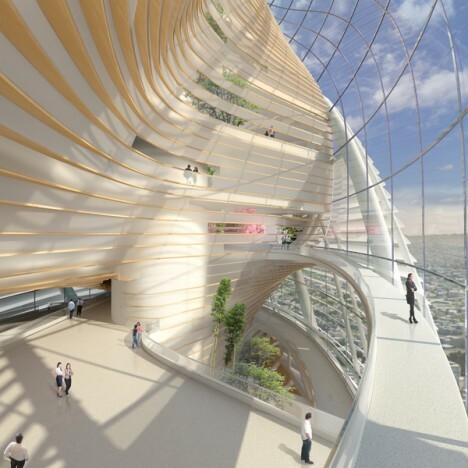 The answer is a research center that “evaluates meteorology and corrects the environment through mechanical engineering.” The tower purifies the air and water, collects and generates solar energy, inspects the local microclimate, offers green public space at its base and communicates with its sister towers around the world. 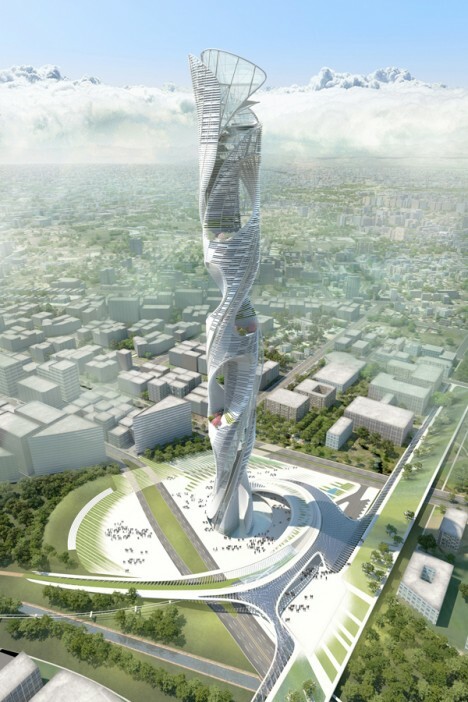 Over 1300 feet tall, this iconic green tower is “an evolving column of life” acting as a vertical museum for Taichung, Taiwan, rotating to provide optimal views of historical landmarks around the city as visitors move up through the tower. The ‘roots’ start in the oldest part of Taiwan’s history, and as guests ascend, they also pass through time. 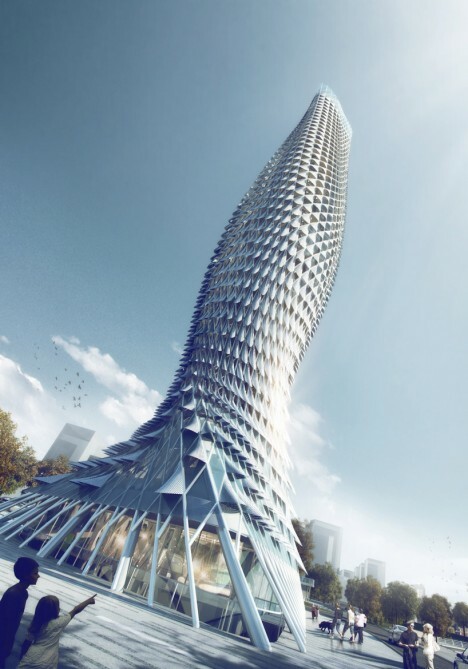 The tower also acts as a carbon sequester, and its spiral form allows wind to pass through it to decrease structural loads and harvest energy.